Last week we covered the first three videos in the series, taking you through an introduction to eggPlant Functional, setting up your test environment, and how to script. This week we will look at the next three videos in the series, which will help you get organised with your testing. Firstly, we look at modularization and parameterization, which is very important when considering the scalability of your test suite. After writing your test, you’ll want to re-use and scale it up, so it can be used in hundreds of different test runs. Secondly, we discuss how to use Optical Character Recognition (OCR); built in, it allows eggPlant Functional to read text off the screen of your system-under-test by deciphering the pixels. OCR is incredibly powerful, allowing you to create robust scripts, that will run across multiple platforms, and continue to work if you change the font in your application. Lastly, we look at debugging, a critical part of automated test creation. Properly debugging tests ensures stability and reliability of tests, yielding accurate results. Last year we launched a series of eggPlant Functional training videos, which were a huge success. 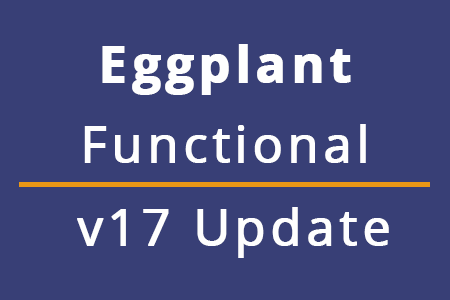 So, while you might be slowing down over the festive season, why not spend some time learning how to use eggPlant Functional? The training series covers all aspects of test automation from script creation to debugging, best practises, reporting results, and even tips and tricks from the team at TestPlant. This blog re-introduces the first three videos! The full training video series can be found on our website here.